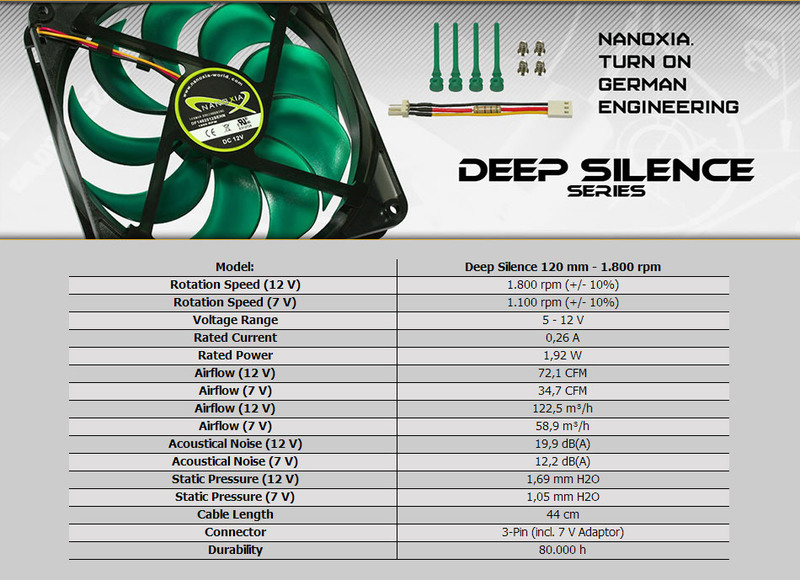 The Nanoxia Deep Silence 120mm fan has been optimised for very low noise operation due to the frame and impeller being developed in a wind tunnel. 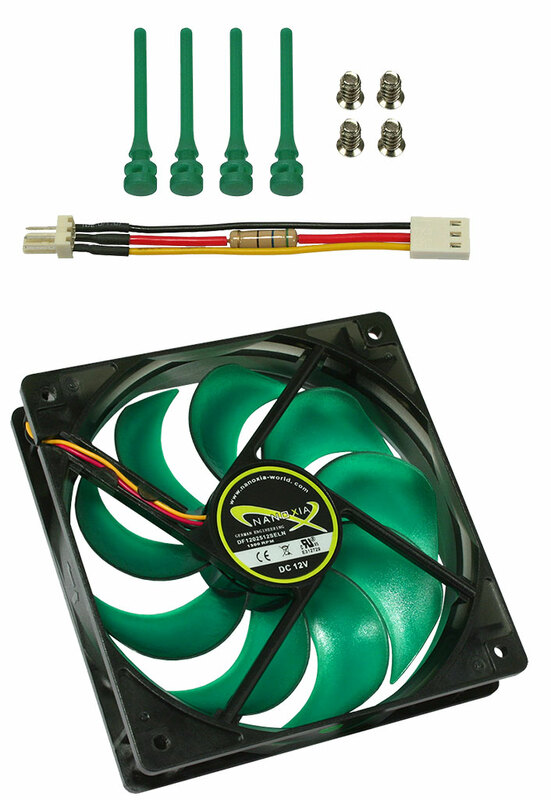 The Deep Silence 120mm fan is supplied with a 7 volt adapter cable. At 12 volts the fan rotates at 1,800 revolutions per minute which generates an air flow of 72.1 CFM at a noise level of 19.9 dB(A). Using the 7 volt cable reduces the speed to approx. 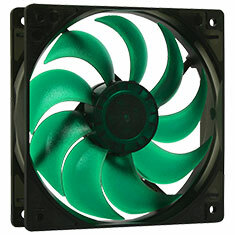 1,100 rpm, which generates an air flow of 34.7 CFM at 12.2 dB(A).